Mid-SAPS European Oil for European Gasoline and Diesel Engines. Formulated for the lubrication needs of modern European gasoline and diesel cars and light trucks. Its mid sulfated ash, phosphorus and sulfur (SAPS) formulation provides excellent protection for emissions systems. motor oil in 1972. Trust the extensive experience of AMSOIL, The First in Synthetics®, to do the best job protecting your engine. 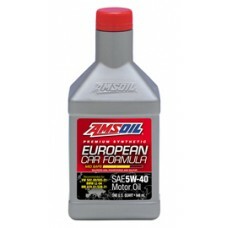 AMSOIL European Car Formula Synthetic Motor Oil is formulated to meet or exceed the most demanding European specifications.